£1.25 million is available to monitor housing conditions in York and Leeds (pictured). £1.25 million is available through an Innovate UK Small Business Research Initiative (SBRI) competition for projects that can help Leeds and York local councils improve domestic heat and energy monitoring. Funding is provided by the GovTech Catalyst. Find out more about GovTech Catalyst. The competition aims to develop non-intrusive ways to monitor a household’s environmental condition. Successful projects will work with Leeds City Council and the City of York Council, as well as other local organisations and tenants. 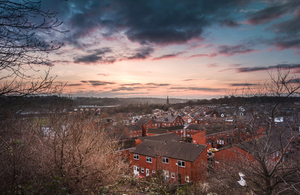 Proposed heat and energy monitoring solutions must suit the different types of homes in Leeds and York, including high rise tower blocks, and take into account a variety of tenants. The competition will comprise 2 phases. In the first phase, around 5 research and development contracts are expected to be awarded, with projects lasting up to 3 months. A total of £250,000 including VAT has been allocated to this phase. 2 successful applicants from phase 1 will be awarded R&D contracts in the second phase. Up to £500,000 including VAT will be allocated to each contract to develop a prototype and begin field testing. Phase 2 projects can last up to 12 months. 1 April 2019 Wording in summary amended to reflect that the aim is to monitor environmental conditions in the home.